Belmont Village Preschool is a friendly, welcoming Preschool. Founded in 1976 we boast exceptional staff to child ratios in a caring and inclusive atmosphere. Ofsted's inspection of 2011 rated us as "Outstanding" in several key areas, with an overall "Good" rating. 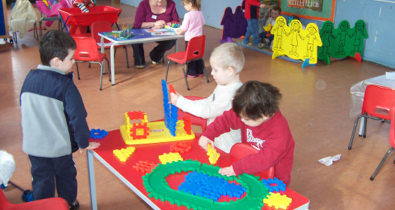 Led by a committee of parents and run by a team of highly qualified staff creating a nuturing environment. Optional Lunch Club group Tuesday to Friday 12pm - 1pm. If you are interested call Clair on 07968 985 266 or Anna on 07880 548 022. Opening Times: Open - 9.15am - 12.15pm - term time only.